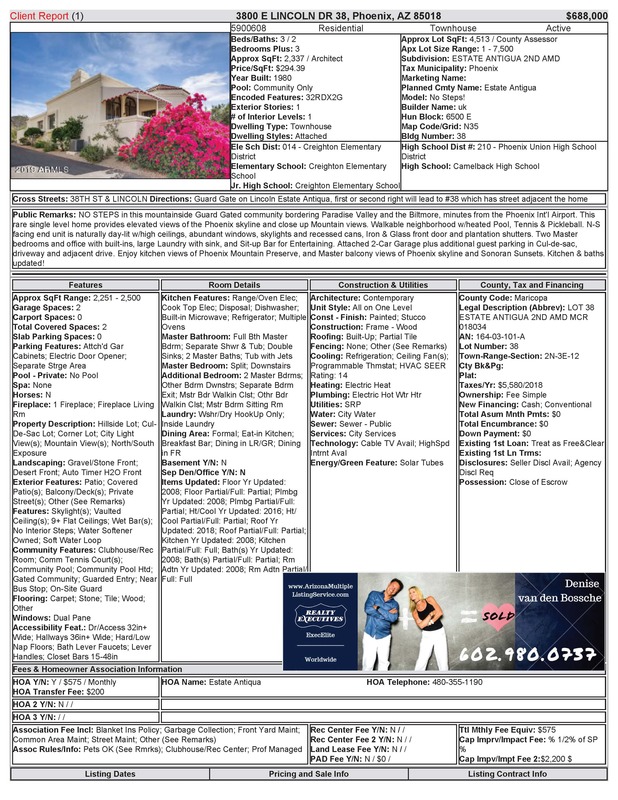 New to market April 2019. 3Bed 2Ba 2,237sf $688,000. 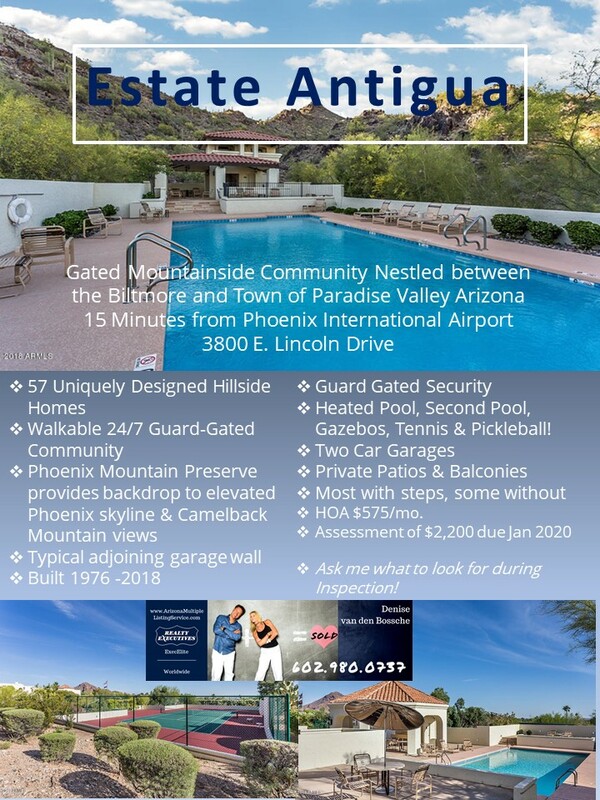 Mountainside Guard Gated minutes from Sky Harbor Airport with NO STEPS. This Paradise Valley - Phoenix Mountain Preserves Hillside Community with elevated views of the Phoenix skyline has Heated Pool, Tennis & Pickleball. This end unit with North-South Views is light and bright with Iron & Glass Front Door, high ceilings, Dual Pane Windows, 2 Master bedrooms plus an office with built-ins. Cul-de-sac and additional drive and attached 2car garage for plentiful parking. Enjoy kitchen views of Mountain and Master bedroom views of Beautiful Sonoran Sunsets & City Lights.